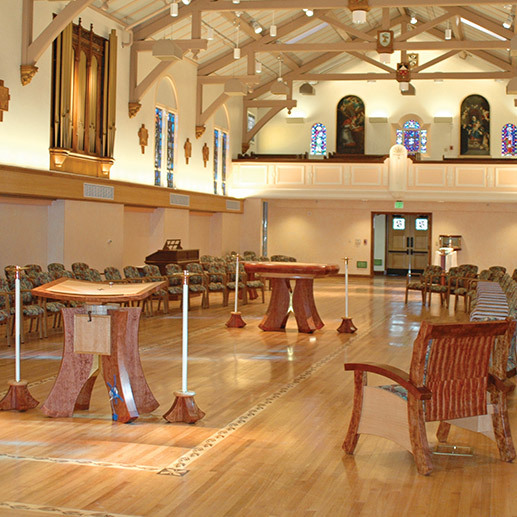 The award-winning lighting design for the Dominican Sister of Mission San Jose Chapel creates a warm and welcoming space for worship. It is indirectly illuminated using ELP’s CLC Series cove lighting system. A decorative cast GRG (Glass Fiber Reinforced Gypsum) cove is supplied in 8′ sections. The cove pieces are attached to the wall and joined to look like a continuous, custom-built decorative cove. High-performance fixture/reflector sections are then attached within. Separate 2′ sconces were also done to match. CLC Series, Style C 10"